Here’s where you’ll uncover the best buy electric shavers in the UK. 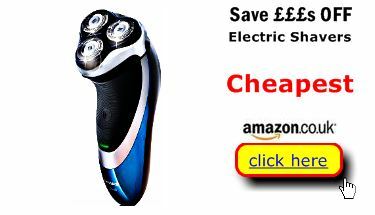 Or would you prefer the best electric shaver at the cheapest price in Britain? At Best Buys Compared we investigate prices across a panel of British retailers – and NO Tesco and Argos aren’t always cheapest. Take these four best buy electric shavers by way of recommendation. Each is highly rated by their owners – scoring more than 9 out of 10. Yet you can pick one of them up for around £40 - perhaps less. 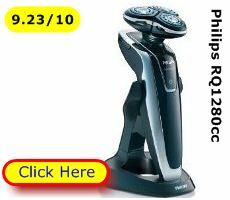 And do yourself a favour and look at the Philips RQ1280cc page – It’s our best buy electric shaver. It’s certainly an investment to acquire one. 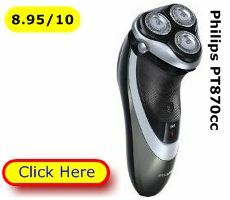 But, this Philips rotary electric razor offers a host of features designed to deliver a close comfortable shave, quickly, day in day out for years to come. It’s an ideal men’s grooming tool – both light weight and compact. The cutting head flexes and pivots to follow the contours of your face – even knobbly bit like the jawline. The individually floating cutting heads incorporate both lift and cut combs and 3 kinds of slots/holes to channel and precisely cut stubble for a smooth face result. But, if you are on a budget we’ve got some cracking bargain shavers, too. * Best Buy Rating – The Overall Users’ satisfaction rating. How all users rated the experience of their shaver model after 3 months of use. **Indicative prices correct at time of publication – could be lower now – check individual dryer pages for the latest low prices. With just the top ten rotary and foil shavers to consider you may still like us to help you choose. That’s why we’ve compiled a “best buy” page. There you’ll get the facts on what makes your best value choice of men’s shaver. By that we mean a well- made and safe electric shaver that offers value for money and suits your stubble type and lifestyle. This will also be a shaver that’s easy to operate and will last for years to come. It’s also one that can be operated wet or dry – giving you the option of a dry shave or wet shave using foam or gel. Our independent service gives you the key facts in plain English - not marketing hype. 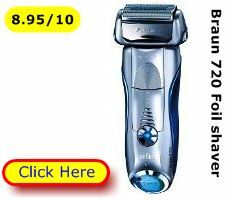 That helps you locate the best buy electric shaver for you. 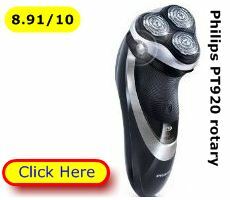 Our overall best buy is the wet/dry operation Philips RQ1280cc rotary electric shaver (9.23/10). At around £200 it’s certainly an investment – one for the man who wants the best for their face and grooming. 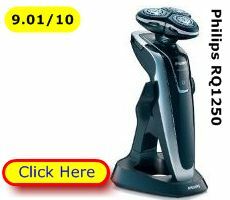 Of course you can get reliable Philips shavers cheaper – some PowerTouch models (that didn’t make the top 10) score 8/10 and above but only cost around £50. However, they compromise on things like performance, battery endurance or battery recharge times. Looking for a foil electric shaver? 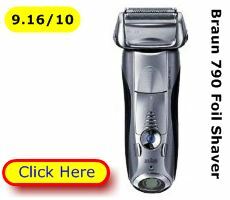 Check out the wet/dry Braun 790 (9.16/10). It’s highly thought of by its owners and is unique in having different settings normal – sensitive – intensive to suit your skin and stubble type. 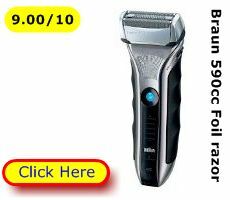 Like the Philips RQ1280cc the Braun 790 comes with a stand that incorporates a self-cleaning and lubricating unit to ensure a close, comfortable shaving experience. Looking for a cheap and cheerful foil razor or perhaps a travel shaver? 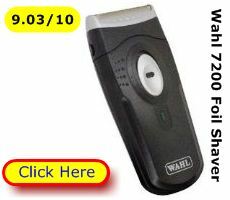 The Wahl 7200 (9.03/10) is highly thought of by its users. It’s a no-nonsense 2 foil, cordless shaver with a pop-up hair trimmer that recharges in an hour and delivers around 2 weeks of shaving. Our extensive research among British buyers uncovered these top 10 electric shavers - all rated by users as 8.85/10 or above. Consider any of the shavers on display here. They are the user nominated top 10 in Britain. 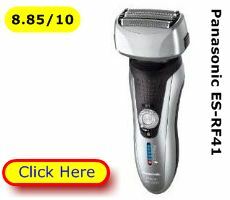 So, if you up for the best buy electric shaver at the lowest price you’re come to the right place. That’s right! At a click of your mouse or touch of your screen you can summon up a foil or rotary shaver to suit your face and stubble type – round or angular, fine or thick. The right electric shaver makes short work of shaving stubble and trimming side-burns (and moustaches, goatees and beards, too). 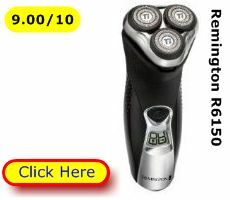 They are compact and light weight but have powerful motors and long lasting batteries to deliver a comfortable close shave, day in day out, for years. 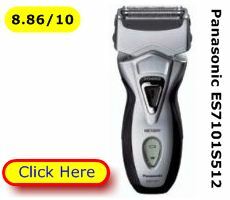 Evaluate the top, user-rated, best buy electric shavers today! 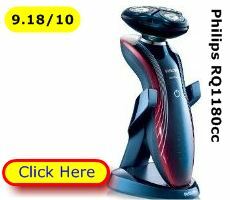 Top 10 Electric Shavers | Which Electric Shaver is Best?